In Vermont, if your establishment serves alcohol to a customer who is intoxicated, you become liable for any damages they may cause. Liquor liability insurance helps cover your expenses when you are sued due to damages caused by a customer. Why Do You Need Liquor Liability Insurance? For full coverage, your policy should include personal injury coverage, property damage coverage, and coverage for employees that may drink on the job. Like many other states, Vermont has laws regarding a business’s legal liability when it comes to the serving of alcoholic beverages. These so-called “Dram Shop” laws apply to restaurants, bars, liquor stores, taverns, and any other establishment which sells or serves alcohol. You can be sued by the injured party, their spouse, children, guardian, or employer. Because VT allows for lawsuits in so many situations, businesses that serve alcohol are at a high risk of being sued at some point, and the damages could easily destroy your business. General liability and other insurance typically exclude coverage for situations involving intoxication. Liquor liability coverage can help protect you in many of these situations. Liquor liability coverage provides broad coverage for many situations that VT businesses face, but there are some cases that your insurance will not provide protection. Damages to your own property are not covered by liquor liability, nor are slander, libel, or similar charges. Since underage drinking is illegal, if you serve an underage patron, your insurance will not provide coverage. It is up to you to train your employees to carefully check IDs to ensure that all patrons are over the age of 21. If you fail to do so and injuries or damages result, you are fully responsible for the costs. Serving alcohol is part of the business for many Vermont restaurants and other establishments, but you must be aware of your legal liability. VT is considered to have some of the most liberal dram shop laws in the nation, putting your business at a greater risk possibility for being sued for injuries and damages. 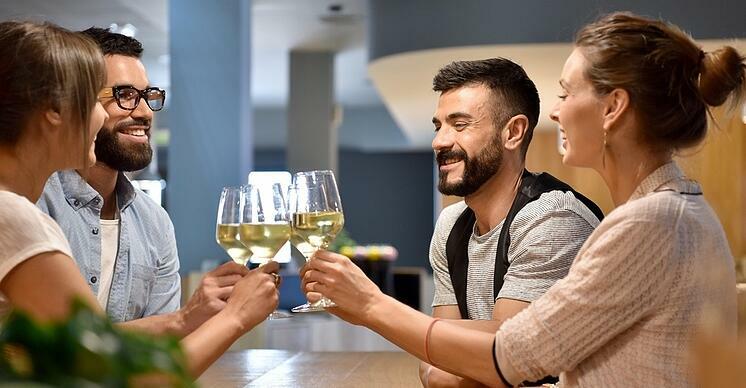 Liquor liability insurance can cover your financial interests in many of the situations that occur, providing you with broad protections for your alcohol-related liability. Get a Free Liquor Liability Insurance Quote! Get a Free Customized Liquor Liability Insurance Quote!